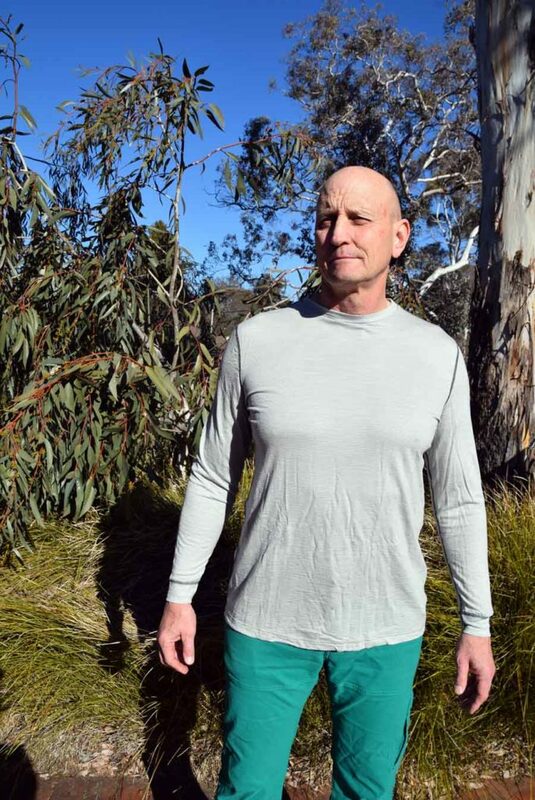 I have been wearing long sleeved tops on nearly all my hikes for the past six years and from what I see other hikers wearing on the trail I know that I’m in the minority; but for me its a no brainer. Between creepy crawlies such as Ticks and March Flies, and the impacts of the sun such as dehydration, sunburn, and skin cancer, it’s very rare to see me in a short sleeved top. I’m also a huge fan of Merino as a fabric as it minimises odour when you wear the same top for anything up to a week at time between washes on long distance hikes and in the event you get wet it will still keep you warm. The first is price. 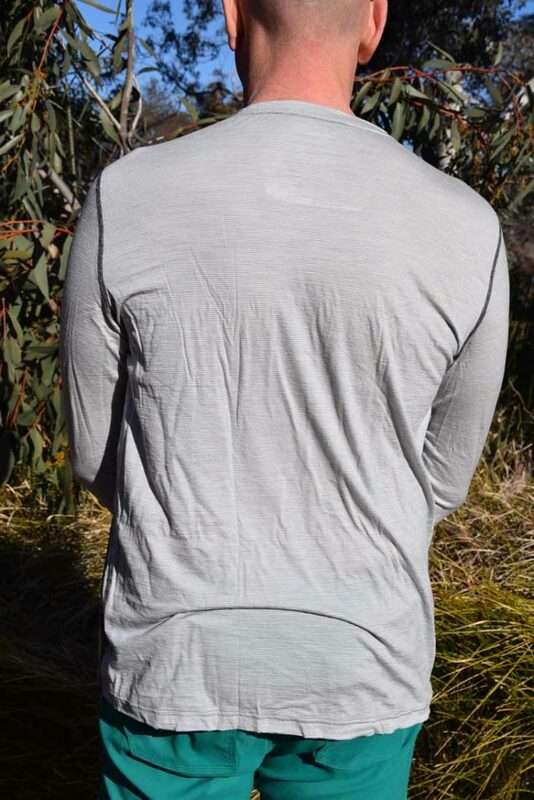 Being a garment made of high quality fine grade merino wool these garments are not cheap and at $109 the Wilderness Wear Cumulo Merino Long Sleeved Tee Top isn’t the cheapest top you are going to find. The second negative, is the limited colour range with only two colour choices, black and light grey. Now to offset the negatives there is plenty to love about this long sleeved top so here goes. In trying this top on for the first time there were a number of very obvious advantages. Firstly the length of the body and the sleeves is very generous. I’m not overly tall at around 186cm but I have a real issue with sleeve and body length with many pieces of clothing that I try on. For many years I haven’t really had a choice with this and have just had to put up with my tops being on the short side and with it a reduced level of comfort. The other thing that also noticed on first wear was the softness and with it the comfort of the material. 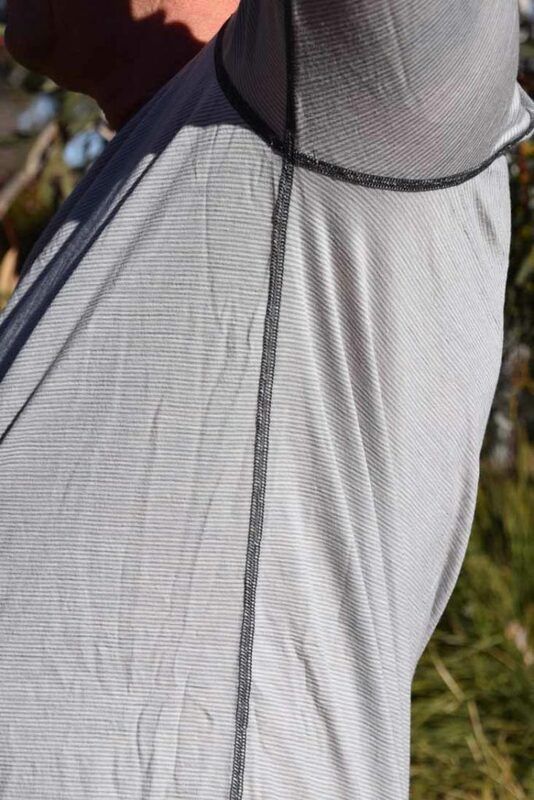 I had an opportunity to interview Wilderness Wear at the Sydney Outdoor Retailer Show in June of 2018 and they use a high grade of merino wool in conjunction with a particular weaving process that just provides that soft feel. Like many tops of this calibre they use a flat lock stitching that mean you don’t feel the seams and this includes the underarm seam which is offset so that you don’t notice it. Wilderness wear also promote the fact that they use Australian grown wool in their products, manufacture in Australia, and are also Australian owned. There garment packaging plays on this by promoting “200% Australian Made-Owned”. I do try to support Australian companies where I can but only if they provide a good product that has the features that I want. Wilderness wear does this in spades with this top. 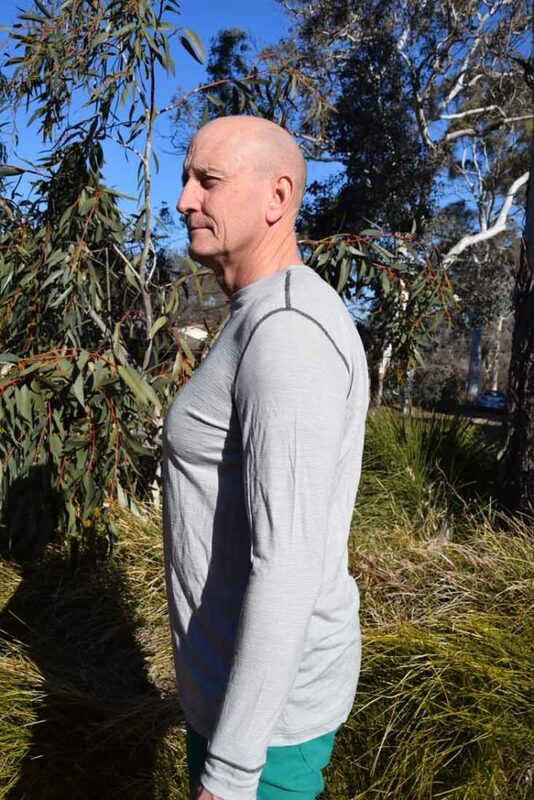 As I said apart from wearing this top on a number of occasions on single day trips I used this on a 5 week long trip on the Bibbulmun Track, day and night, only taking it off to wash myself and to wash the top on a weekly basis. Yes it did smell but nowhere near as bad as other tops that I have worn. I have come to love this top and it now holds pride of place as part of my layering system as my main upper body garment as a stand alone in the warmer months, and as a base layer during the cold months.